Browse our comprehensive directories of U.S. and Canadian associations, organizations and trail administrators. 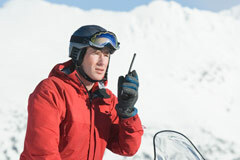 Help other professionals by sharing your ideas on successful snowmobile training and access education. Submit questions about educational materials and resources and we'll assist in answering your questions.